Plymouth is the first city in the country to get a dedicated NSPCC Helpline which gives people an alternative point of contact to talk about the welfare of a child. The ground-breaking project is being trialled to provide more localised support and advice for families in need. The new helpline will serve as an alternative contact to Plymouth City Council, the Police and Health agencies. 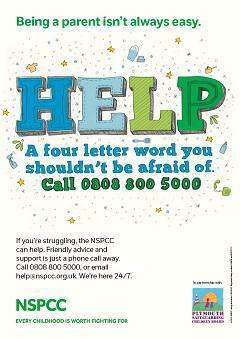 NSPCC Helpline counsellors will be on hand 24/7 offering an independent first line of contact for those who may otherwise be unsure where to turn or reluctant to go down an initial legal route.